This week, I made a new Facebook friend from Sweden via the OTTBS group. Her name is Veronica Jonsson and she was asking for ideas of jewellery to make and wear at an Arts event where she would be engaging with politicians, but not able to display her creations other than by wearing them. I took a look at her FB albums and ETSY shop and saw that she really likes the quirky side of beading, incorporating glass eyes and other objects. Like many beaders, she sometimes makes items from patterns and I was taken with a flower pendant she had made which led me to download the original pattern for myself from Sova Enterprises. 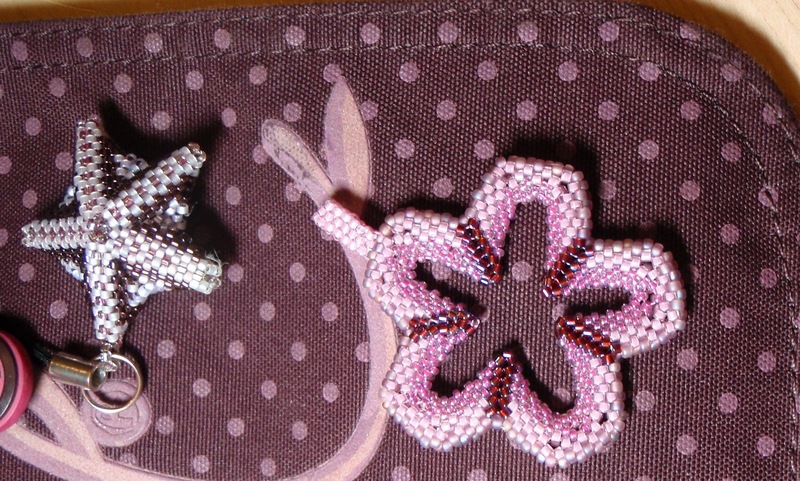 The Designer is Holle Sauerwein, website here, and the pattern is named Flower Power. 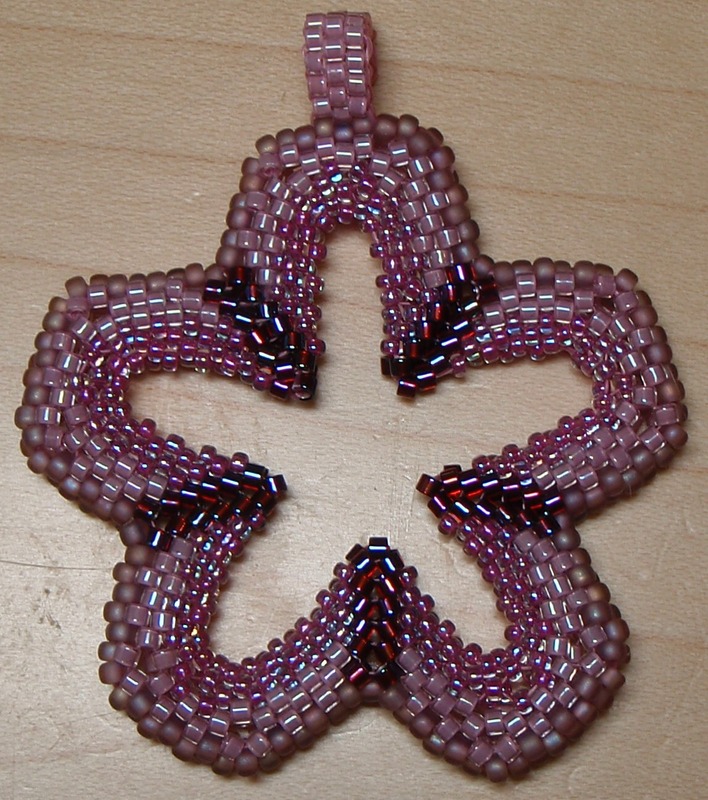 I bought and downloaded the pattern which requires seedbeads (size 11 and 15) and cylinder beads (size 11) and immediately got to work. Initially I intended to use 'tropical' colours but the pink (072) and Lustered red (1694) delicas I bought last weekend were on the table, as was a tub of 142FR size 11s which looked good together. I found the size 15 264 was a good match for these, and I had c-lon thread in a matching shade (haven't used c-lon for ages but my other threads were the wrong colour). So the question is: did I subconsciously select colours (to buy, and to use) which would be a great match for my bag, or is it just happenstance? The flower pendant is very beautiful, and maybe you were really your bag in your head as you've chosen the colors of beads.